WikiLeaks' founder Julian Assange has implied that the murder of Democratic National Committee staffer Seth Rich could be linked to the recent DNC emails leak. 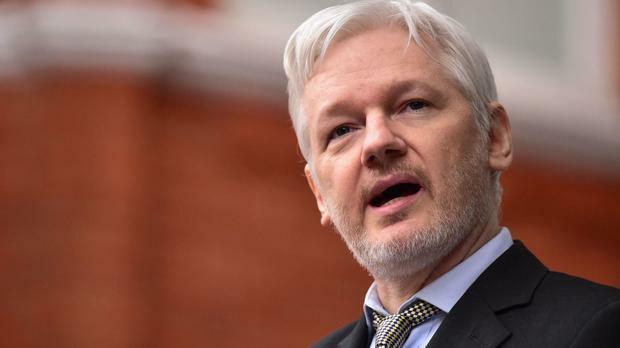 In an interview with Dutch television program Nieuwsuur Assange said: "Whistleblowers often take very significant efforts to bring us material and often at very significant risks. "There’s a 27-year-old who works for the DNC and who was shot in the back, murdered, just a few weeks ago, for unknown reasons as he was walking down the streets in Washington." When asked if Rich was a WikiLeaks source, Assange refused to comment, saying the organisation does not reveal sources. Assange was then asked why he was commenting on Rich’s murder. He said: "We have to understand how high the stakes are in the US, and that our sources face serious risks. That’s why they come to us, so we can protect their anonymity. “We are investigating what happened with Seth Rich. We think it is a concerning situation. There is not a conclusion yet; we are not willing to state a conclusion, but we are concerned about it. Seth Rich, 27, was shot twice in the back in an affluent Washington DC neighbourhood on July 11. According to his mother Mary Rich, the DNC data analyst was talking on the phone with his girlfriend at the time of the attack when she heard noise on his end of the line. Seth told her not to worry about it. Mrs Rich told the local NBC station that her son was found with bruises on his face, knees and hands. DC police chief Cathy Lanier said that Rich may have been killed in a robbery. His father Joel Rich told local TV station KMTV that if it was a robbery — it failed. Mr Rich said: "He still has his watch, he still has his money — he still has his credit cards, still had his phone so it was a wasted effort except we lost a life." Wikileaks is now offering a $20,000 reward for information leading to a conviction for the murder. Metropolitan Police Department told Business Insider that there was currently "no indication" that Rich's death resulted from his employment at the DNC. Earlier this month Assange denied that Hillary Clinton's claims that Russia the source for the 20,000 leaked emails. Among the revelations was the party's collusion with the Clinton campaign to sideline her opponent Bernie Sanders. The leaks also sparked resignations from three senior DNC officials. CEO Amy Dacey, communications director Luis Miranda and Chief Financial Officer Brad Marshall. Chairwoman Debbie Wasserman Schultz resigned last month following previous hacks. When asked by RT's Afshin Rattansi about whether further expected publications by WikiLeaks will include DNC email leaks, Assange simply replied, “yes”.